The engineering service provider Porsche Engineering expands its traditionally strong engagement in Asia with an own location in Shanghai. In Shanghai, Porsche Engineering will concentrate on proven core competencies of overall vehicle development and system development. The engineers of Porsche work out new unusual ideas for cars, vehicles and industrial products. Operations at the location in Shanghai will initially start with a team of six engineers with distinctive knowledge of Asian markets and deep technological competence. The successful model of connecting all Porsche Engineering-locations will be continued thereby. “We provide the customers with our overall vehicle competence from the development of sports cars, which can be used efficiently and directly on location”, emphasizes Malte Radmann, Managing Director of Porsche Engineering. Besides the new site in China the company has further locations in Bietigheim-Bissingen (Germany), Prague (Czech Republic) and Nardò (Italy) while its headquarters is in Weissach (Germany). One important component of the engagement in Far East is the collaboration with Tongji University in Shanghai, which was established in June of this year. Following the example of a cooperation between the Prague location and the technical university there, the collaboration in Shanghai will also strive for a fruitful exchange in terms of science, research, teaching, testing facilities and practical experience. Porsche Engineering Group GmbH, Weissach, is a premium engineering services provider for car manufacturers, the automotive parts industry and other sectors. It is a wholly owned subsidiary of sports car manufacturer Dr. Ing. h.c. F. Porsche AG, Stuttgart. 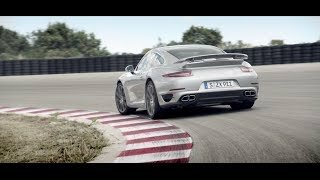 In this way Porsche Engineering combines the nature of a perfectly networked medium-sized company in south-west Germany with the experience of a globally successful car manufacturer. On behalf of clients the Porsche engineers develop a wide range of solutions – from the conception of individual components and the design of complex modules through to the planning and implementation of complete developments including production start-up management. The Nardò Technical Center in southern Italy, which has been part of Porsche since 2012, offers both the company and its customers extensive facilities for testing and conducting trials. 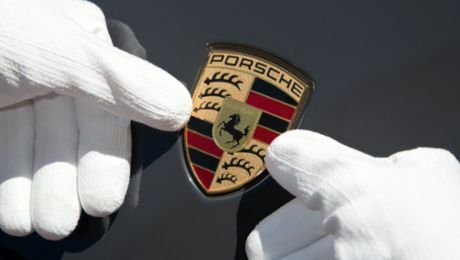 Engineering services for external customers are a cornerstone of the Porsche identity and an important part of Porsche. However, the public knows little about this. Porsche Engineering operates according to a policy of strict confidentiality to ensure that product strategies and the brand identities of its customers are always protected with the greatest care. Porsche Engineering signed a comprehensive co-operation agreement with Tongji University in Shanghai.